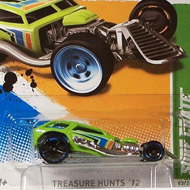 12/15 from the 2012 Treasure Hunts series. 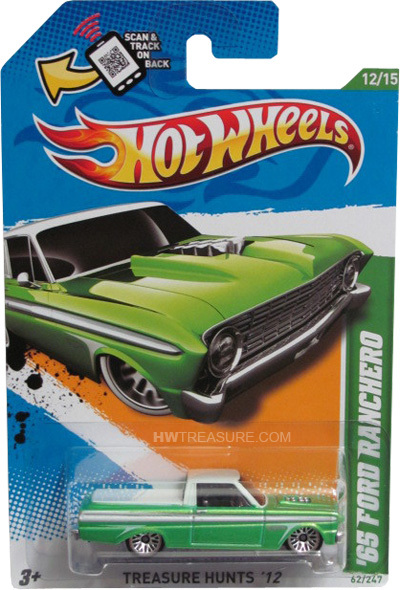 The light green Ranchero features a white roof and bed cover, and white and silver stripes on the sides. 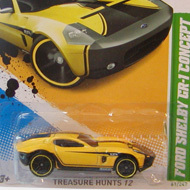 It has tinted windows, a chrome interior, lace wheels, and a black plastic Malaysia base.